The findings of a public consultation over the future of Hartlepool’s Assisted Reproduction Unit will be revealed by health chiefs at a meeting this week. Representatives from the NHS Hartlepool and Stockton-on-Tees Clinical Commissioning Group (CCG) will discuss the results of the six-week survey at a meeting of Hartlepool council’s Audit and Governance Committee on Thursday. It will take place in the Civic Centre and start at 10am. Councillor Ray Martin-Wells, chair of Audit & Governance Committee, said: “Understandably, there has been a high level of public interest in this issue and local people are encouraged to come along to hear the findings and as questions. 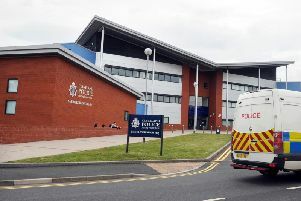 A consultation was exercise carried out after the council took legal action in the High Court following hospital bosses’ attempts to axe licensed fertility services at the University Hospital of Hartlepool from the end of March. The survey asked for people’s opinions on three options which comprised a comprehensive service staying in Hartlepool under a different provider; services that don’t need a licence staying in town and patients travelling out of town for licensed services including IVF. A third option is for both licensed and unlicensed to be removed from Hartlepool. At its last meeting, Coun Martin-Wells recently accused North Tees and Hartlepool NHS Foundation Trust of lying in claiming the changes were down to problems recruiting embryologists. “If the Trust had come clean six months ago it would have prevented the need for High Court action and prevented the Hospital Trust and Council wasting around £60,000 in legal costs – time and money that could have been spent on finding another provider to deliver this vital service,” he said.